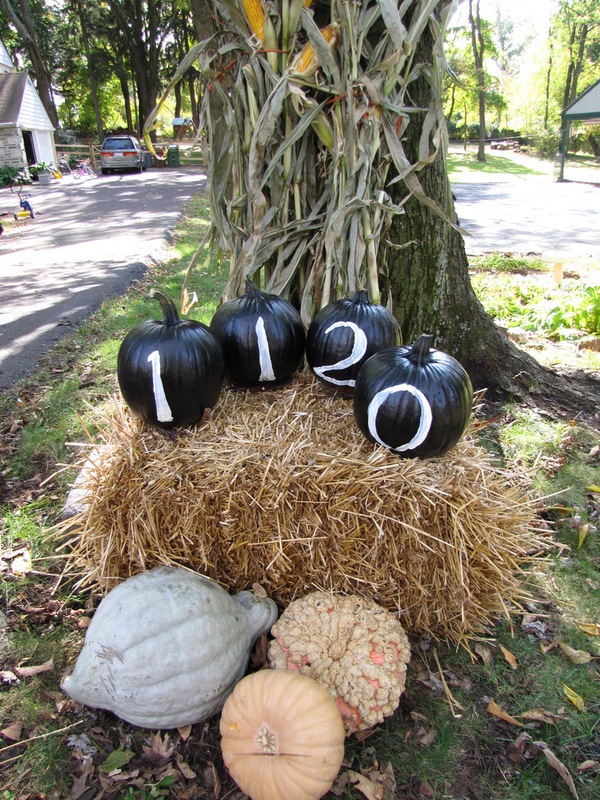 and pumpkin ideas are everywhere. This is a repeat from last Fall. I had to run it again. Get your pumpkins out ladies! LOVE IT! I didn't see it last year, so it's new to me. 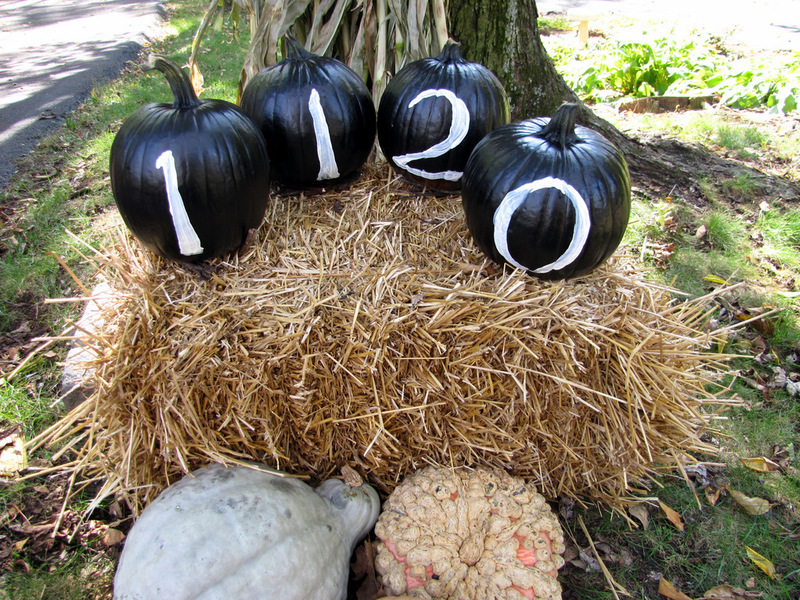 LOVE the black pumpkins – what a great idea! What a GREAT idea!! 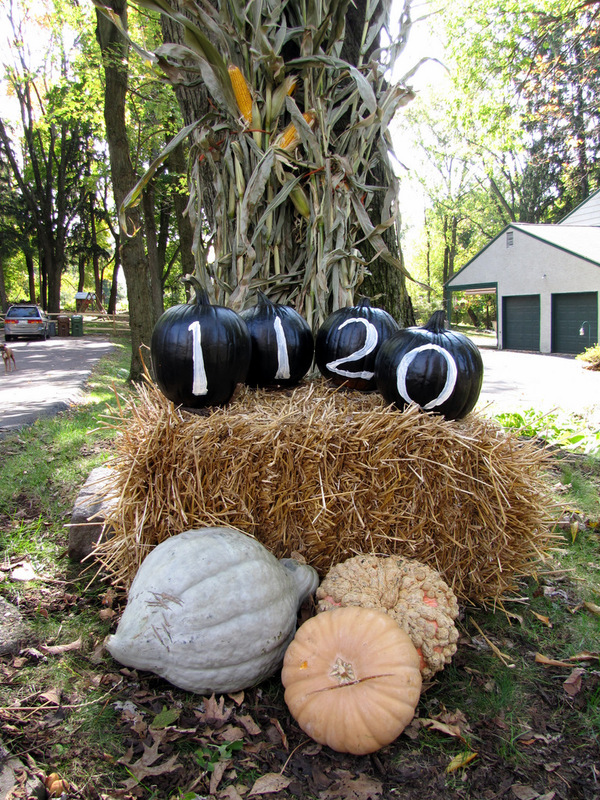 Our home is removed from the main street and this is a great way to let everyone know where we are. btw, did you get my last email? Have a great weekend!